If you were wise, what would it be like? I don’t mean “what would you know” – I mean “what would the experience of life be like?” Are wise people different from the rest of us? How do they live? 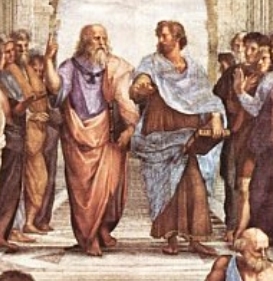 That’s the question Pscyhologist Dolores Pushkar set out to answer in a recently published piece: “What Philosophers Say Compared with What Psychologists Find in Discerning Values: How Wise People Interpret Life”. Pushkar, Etezadi, and Lyster acknowledge that there is no consensus on what defines wisdom, but they propose the following as being key aspects; knowledge, deep understanding of human nature, life contentment, empathy and the flexibility to see issues from others’ perspectives. Cultivating wisdom can also help people deal with the toughest aspect of life; stress, instability, and overwhelming adversity. If the world had more people like that, many problems might not seem so intractable. Pushkar and her colleagues see wisdom as more than just a philosophical state of mind. Wisdom can have an impact on how someone makes decisions in their lives, how they cope with life, or whether or not they are more satisfied with life in general. They found that people who were wiser, happier and more optimistic. When you are happy, bitterness and resentment towards others is practically non-existent. The most profound gift from wisdom is that it can help counter the negativity that can make some people un-empathetic towards others. Pushkar is not alone in the search for answers. Two researchers, Dilip Jeste and Thomas Meeks asked a group of experts that focus on the study wisdom to find the unifying elements of wisdom. Their research was a two-part survey study and questionnaire that had participants select among 53 statements that were related to current concepts of wisdom, intelligence and spirituality. Note number five on the list: there are no short-cuts to gaining wisdom. It could be possible to teach wisdom or more likely cultivate wisdom in people, however, and that appears to be the hope of researchers who are studying it. It’s also been the hope of humanistic and existential psychologists for decades: perhaps the best thing the researches studying widsom in the lab could do would be to listen to the therapists working in the field — therapists whose practice is centered around helping clients grow and mature, rather than just problem solving.